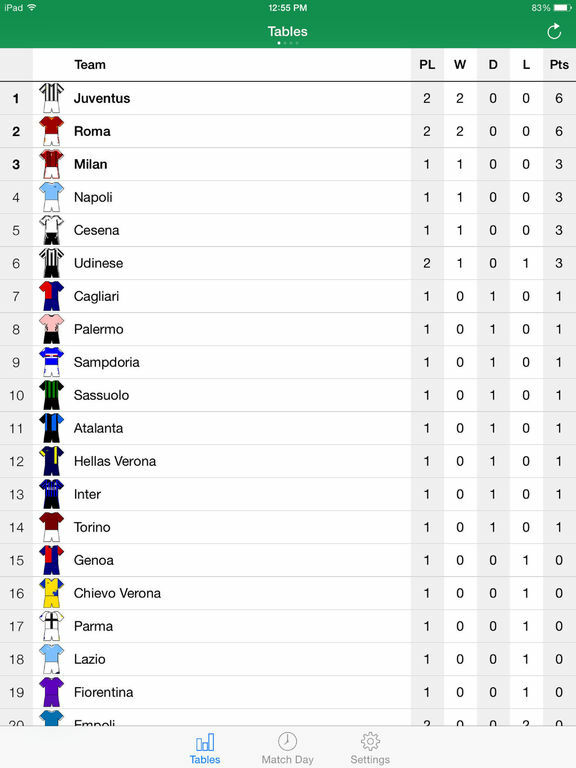 "Scheduler - Italian Football Serie A 2016-2017" is an application that will remind you in advance of the beginning of your favorite team’s matches. 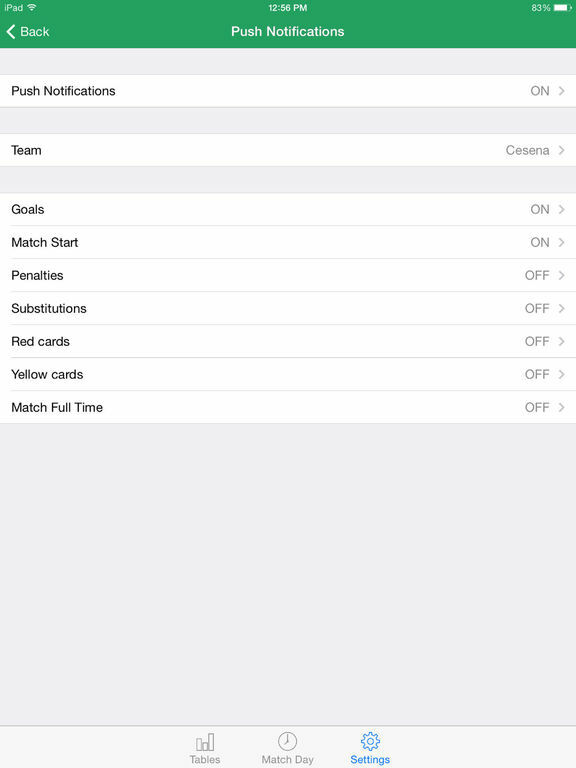 With the application, you are now able to set up any time interval of reminders. After the process of initialization, notifications will be available throughout the entire tournament. 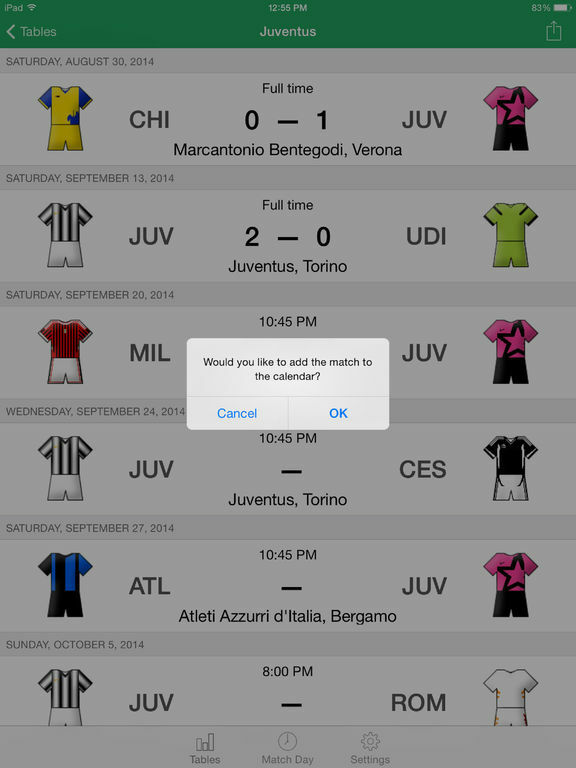 - To create a notification in the calendar for the entire championship, click "Add All Matches in the calendar." All entries in your device’s calendar can be viewed, edited and deleted with the help of the “Calendar” application.